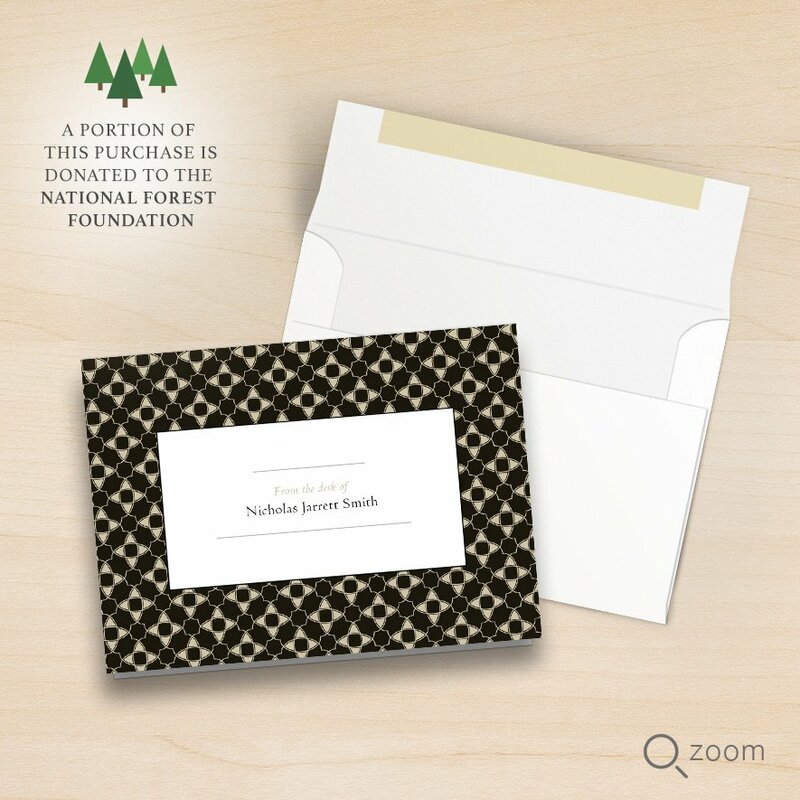 STATIONERY - Discover the card-sender in you with these personalized note cards. Never miss an occasion with this distinguished design. Horizontal cards, size 6.25" x 4.5". Printed on uncoated recycled stock by an FSC certified printer. Price per card includes size A6 white envelopes, also manufactured on recycled stock. Made in the USA.